Cyclone was a short-lived Enterprise ride at Drayton Manor. 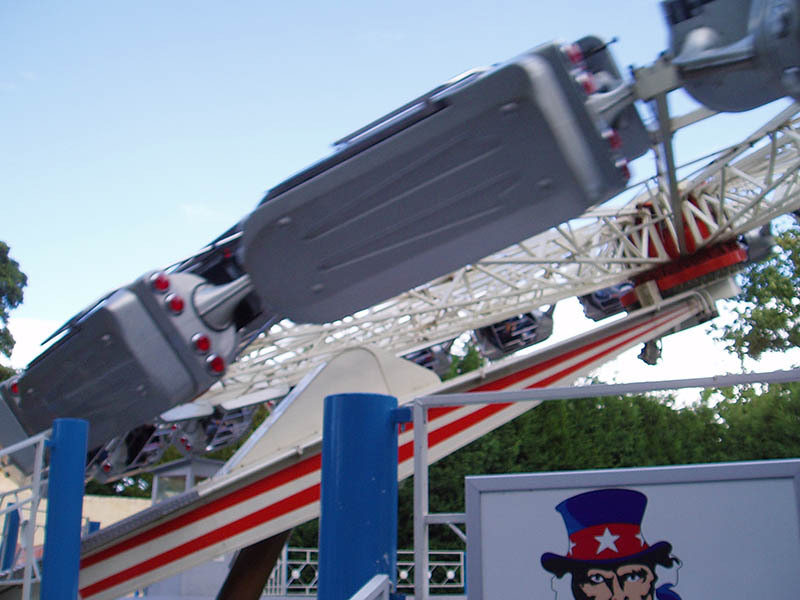 Riders experienced the effects of centrifugal force as the ride spun vertically, allowing them to be pinned into their seats without any form of restraint as they looped around the inside of the circle. It arrived at Drayton in 2003, but the park was forced to remove it at the end of the 2005 season in response to a court order following a noise complaint. The ride had been well kept and provided a great smooth Enterprise experience. Perhaps unsurprisingly then, it made its way to Thorpe Park to replace their elderly Zodiac Enterprise for the 2006 season. Notice the Drayton Manor signs on the cars - these were still visible when the ride first arrived at Thorpe Park!